Trifolium pratense (Red Clover) is a species of clover native to Europe, Western Asia and northwest Africa, but planted and naturalised in many other regions. It is an herbaceous, short lived perennial plant, variable in size, growing to 20–80 cm tall. The leaves are alternate, trifoliate (with three leaflets), each leaflet 15–30 mm long and 8–15 mm broad, green with a characteristic pale crescent in the outer half of the leaf. 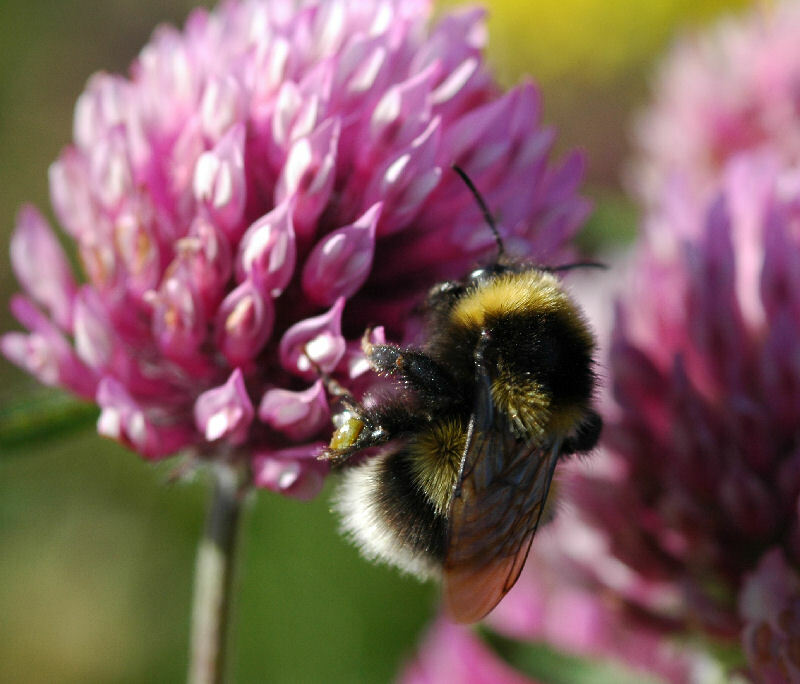 The flowers are dark pink with a paler base, 12–15 mm long, produced in a dense head that provides important high protein pollen and nectar to bees.